Undiluted Calvinism, Christian Education and Local Government – Todays letters and reports in the Press! It’s been a busy day in the media for yours truly! KENNY MacAskill in his very interesting and stimulating article (“I might not ‘do religion’ but I praise the work of our faiths”, The Herald, February 16) speaks of the “the stultification and suffocation brought about by undiluted Calvinism”. I wonder what he means by “undiluted Calvinism”? Is he aware of what Calvinism actually is? Of course there was some “suffocation” but I suspect it has been greatly exaggerated … and pales into insignificance compared with the suffocation caused by undiluted nationalism and statism. Perhaps we should ask: what have the Calvinists ever done for us? Apart from being catalysts for education, democracy and the Enlightenment? I suspect that Mr MacAskill is just indulging in a few prejudices of his own, safe in the knowledge that very few people “who matter” would claim to be Calvinists in todays “progressive” Scotland. I realise that the soft cuddly version of Christianity which he praises in his article is precisely what the politicians want to see – churches which act solely as glorified social work agencies and social clubs for OAPs, and so diminish the responsibility of governments to provide for the poor; but forget their call to be a prophetic witness to Jesus and his Word. When the church just becomes a “spiritual” arm of the state, then it will inevitably decline. I like my Christianity in the same way I like my whisky: undiluted. Watered-down Christianity is weak, insipid and tasteless. Politicians will love it, but when the salt loses its saltiness, nothing remains for it except to be thrown out. What Scotland needs is not a church patronised by politicians who don’t understand what the Gospel is, but churches where the Word of God is honoured and Christ is proclaimed. A radical renewal and revival of the church in Scotland will be a challenge to the powers that be, and a blessing to all the people of Scotland. David A Robertson, Moderator of the Free Church of Scotland, St Peters Free Church, 4 St Peter Street, Dundee. 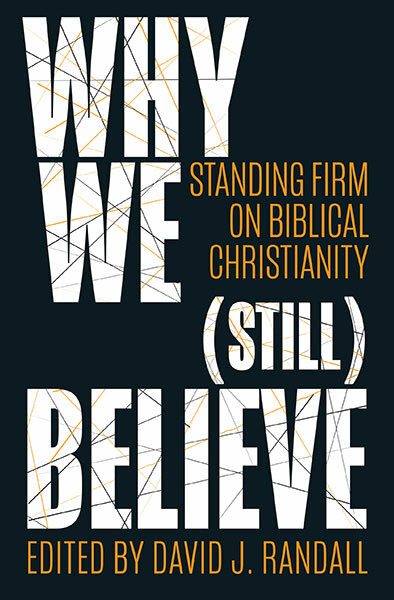 Sir, – Malcolm Burley (February 15) is wrong to state that the Apostles’ Creed originated 400 years after the apostles’ time.We have an early version of it being used in the 2nd Century and all the beliefs within it are found in the apostolic writings of the New Testament.Of course, there are secondary issues on which Christians disagree, but then unlike, it appears, some secularist fundamentalists, we allow diversity. Mr Burley also asks what I mean by Christian education.Every school has to have an ethos and a philosophical and value system.Although they like to claim differently, secular schools are not neutral.A Christian school is one in which the ethos and value system is that of Jesus Christ and includes the values of equality, diversity and tolerance. The Scottish education system was based upon those Christian values.It is only as we have moved away from these that we are beginning to see such a dumbing down of the nation, and a growing inequality in education between rich and poor. There has been an extraordinary response to my article A Christian view of Government and Local Government It is in most of the newspapers today – I have appended some of the responses to the end of that article if you just click the link. Pingback: Undiluted Calvinism, Christian Education and Local Government – Today’s Letters and Reports in the Press!